In this section we will discuss briefly the background behind our new unified interpretation of the symbols of Egyptian zodiacs. 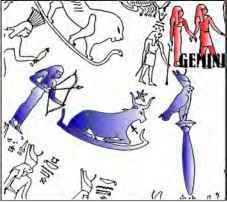 The precise astronomical meaning of the symbolism on Egyptian zodiacs was not systematically investigated by previous researchers and consequently, their astronomical dating contains flaws. Let us notice that on many Egyptian zodiacs one can find the same or similar symbols. Sometimes, these symbols are almost identical or just slightly modified. Moreover, there are repetitions not only of individual symbols but even of larger groups. An attentive observer will notice that many of such groups or single symbols always appear in the same positions on the ecliptic, i.e. near the same specific zodiac constellation. Clearly, these symbols can not be associated with planets, which constantly change their locations on the ecliptic, moving from one zodiac constellation to another. Therefore, it becomes evident that these symbols represent something different from planets but, as their positions are fixed on the ecliptic, it is indisputable that they have some astronomical meaning as well. This observation leads us to an important conclusions which will allow us to decipher to a greater extend the symbolic language of Egyptian zodiacs, including the planetary symbols. (2) A man with a raised hand (see Figures 4.4 and 4.5). If that figure is shown holding in his other hand a walking stick, which is a planetary symbol, than necessarily he is standing on a boat. (3) A laying bull, sometimes with a women standing behind and shooting an arrow over the bull (see Figure 4.1, 4.2, 4.4 and 4.5). On some zodiacs, the figures of a bull and a woman are shown on the same or separate boats. On the Round zodiac there is a bull laying on a boat. 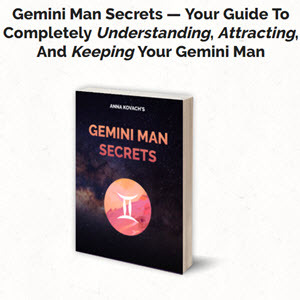 Notice on Figure 4.4, that the imaginary line on which the "Man with the Raised Hand" is standing passes exactly through the Gemini sign and we can think about it as an indication that he stands in Gemini. Figure 4.1: Fragment of the Round Den-derah Zodiac. Marked in blue: "Bull laying down on a boat," "Woman shooting an Arrow" and "Pillar"
Figure 4.2: Fragment of the Long Denderah Zodiac. Marked in blue: "Man with Raised Hand", "Bull laying down on a boat" and "Pillar"
Notice on Figure 4.5, that the Arrow is "moving" above the head of the Laying Bull and it seems that it comes from the Woman standing behind the Bull. This group shows lots of similarities with the Round zodiac (see Figure 4.1). Figure 4.4: Fragment of the Athribis Zodiac. Marked in blue: a "Man with a Raised Hand" and a "Bull Laying down" on a boat. Figure 4.5: Fragment of the ¡Small Esna Zodiac. Marked in blue: a "Man with Raised Hand", a "Bull Laying" down on a boat, a "Woman" and an "Arrow". (the Sun's apparent annual path) from the celestial equator. 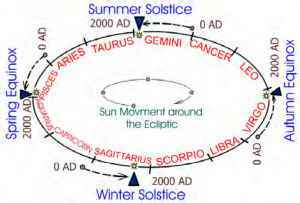 In fact the summer solstice point is one of the four important astronomical points on the zodiac belt, namely there are the summer and winter solstices and the spring and autumn equinoxes. These points divide the ecliptic in four almost equal parts. We will show that all these four points on Egyptian zodiacs were emphasized by special symbolism. Nowadays, the summer solstice takes place on June 21-22, according to the modern (Gregorian) calendar. On this day the Sun is located in Gemini very close to the border with Taurus. However, this was not always the case. It is well known astronomical fact that the point the summer solstice, as well as all three other equinox and solstice points, slowly changes its position with respect to stars. During 72 years it moves about 1o in the direction opposite to the Sun's movement on the ecliptic, so it makes a revolution of 30o in about 2000 years. 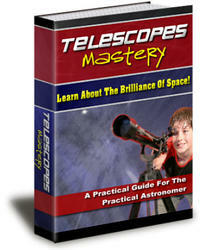 In particular, that means that during the last 2000 years the Sun at the summer solstice was always located in Gemini. In the beginning of our era it was located near to the border with Cancer and presently it moved to the other side of Gemini, near the border with Taurus. We illustrate the solstice and equinox points motion on Figure 4.6. Figure 4.6: Movement of the solstice and equinox points during the last 2000 years. Let us remark, that during the last 2000 years, according to Julian calendar, the summer solstice was always in June, the autumn equinox was always in September, the winter solstice in December and the spring equinox in March. In Julian calendar the equinox and solstice dates are moving approximately one day per 128 years. But now we use Gregorian calendar, created in the year 1582, in which the equinox and solstice dates were made invariable calendar dates. However, it was done at the price that one average Gregorian year is too short for the Sun to complete a full revolution around ecliptic. 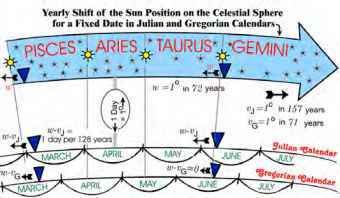 Figure 4.7: Movement of the ¡Sun positions on the celestial sphere and the equinox and solstice dates in Julian and Gregorian calendars. From the astronomical point of view, there are two natural choices for the length of a year. The first is the time of the full Earth revolution around the Sun, which is sometimes called the sidereal year (365 days 6 hours 9 minutes 10 seconds). Another one is the time period between two consequent spring equinoxes, which is called the tropical year (365 days 5 hours 48 minutes 46 seconds). The average length of a year in the Julian calendar is 365 days and 6 hours, which is approximately the average of these two lengths, while in the Gregorian calendar it is almost the same as the length of the tropical year. Consequently, the difference between the sidereal and Gregorian years is twice larger than the difference between the sidereal and Julian years. In order to avoid complications resulting from the change of calendars that took place in 1582, the Julian calendar is still used for astronomical calculations. In fact it has other advantages for astronomy, for example a century in the Julian calendar is composed of 36525 days, while in the Gregorian calendar this number is 36524.2199, which is not an integer. We should remember that as the Gregorian calendar is used only for the dates after 1582, we will need very often to refer to the Julian calendar. On Figure 4.7, we illustrate the astronomical implications resulting from the use of the Julian and Gregorian calendars. There is another example that we would like to discuss. 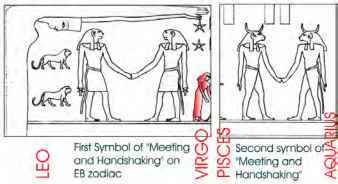 On the Big Esna zodiac EB one can distinguish two practically the same symbols of "meeting and handshaking" (see Figure 4.8). In order to identify what kind of a "meeting" it is, we look at their position on the ecliptic shown on the zodiac. 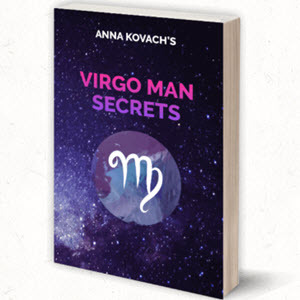 We notice that one of these symbols is located between Virgo and Leo, while the another one is between Pisces and Aquarius. These are exactly the opposite points on the ecliptic corresponding to the two equinox points: the spring and autumn equinoxes. There is no need for much imagination in order to realize that the meeting taking place at these two points is between the night and the day, which have the same length exactly twice per year on these days. Consequently, we can guess that on Egyptian zodiacs the equinox points were marked by some special symbols. Of course, in order to support this claim we need to analyze other Egyptian zodiacs as well, what is one of our goals in the next chapter. Figure 4.8: Two symbols of "meeting and handshaking" the Big Esna Zodiac placed at the equinox points. Let us present one more example where the winter solstice is clearly indicated. The winter solstice is the day when the rise of the Sun above the horizon is the lowest in the Northern hemisphere. During the last 2000 years the winter solstice was in Sagittarius (see Figure 4.6). 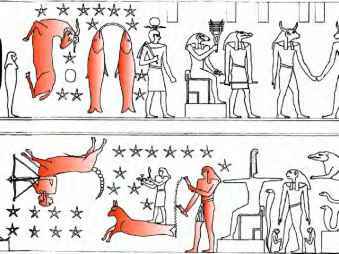 If we look at the sign of Sagittarius on the Big Esna zodiac, we find out that it is the only constellation figure which is placed upside-down, what can be read as an indication of the lowest Sun's position. 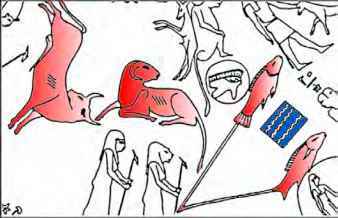 This is not the case with other Egyptian zodiacs, but there are always some special symbols accompanying Sagittarius on these zodiacs (see Figure 4.9). • Sagittarius — from beginning of our era, it contains the winter solstice point. Figure 4.9: The upside-down Sagittarius indicates the winter solstice on the Big Esna Zodiac. Figure 4.10: The sign of the spring equinox (marked in blue) on the Round Denderah zodiac. We should stress out that, in the beginning of our era, which according to Scaliger's chronology corresponds to the time of creation of the ancient Egyptian zodiacs, the spring equinox was not yet located in Pisces. However, on these zodiacs it is shown in the constellation of Pisces. It entered Pisces only in the second century A.D., which already contradicts Scaliger's chronology version of Egyptian's history! This contradiction was already pointed out by Morozov1 who recognized on the Denderah zodiacs some of the symbols of the spring and autumn equinoxes (see Figure 4.10). These signs of the equinoxes on the Denderah zodiacs are rectangular palettes with wavy lines inside. One can easily recognize on Figure 4.10 that this sign is located exactly in Pisces and not in Aries, where it should be placed if the zodiac was made in the first century B.C. or A.D.